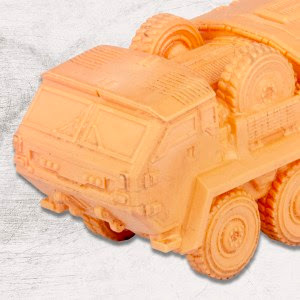 A sneaky orange Resistance vehicle peek of what the resin room are up to. 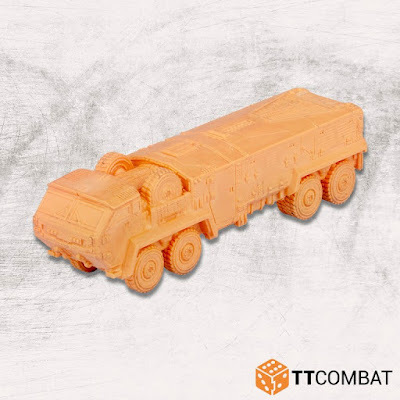 This here is a brand new sculpt for Dropzone Commander! What could it be? I’m sure a lot of you will figure this one out, but I’m saying no more! This is a 3D print straight off the printer. It still needs some cleanup before it gets put into a master mould to make this truck a little resin reality. We’re going to be showing off more of what Dropzone and Dropfleet releases you can expect with the launch of Battle for Earth later on this year (release date TBC), so be sure to check back often for more treats!